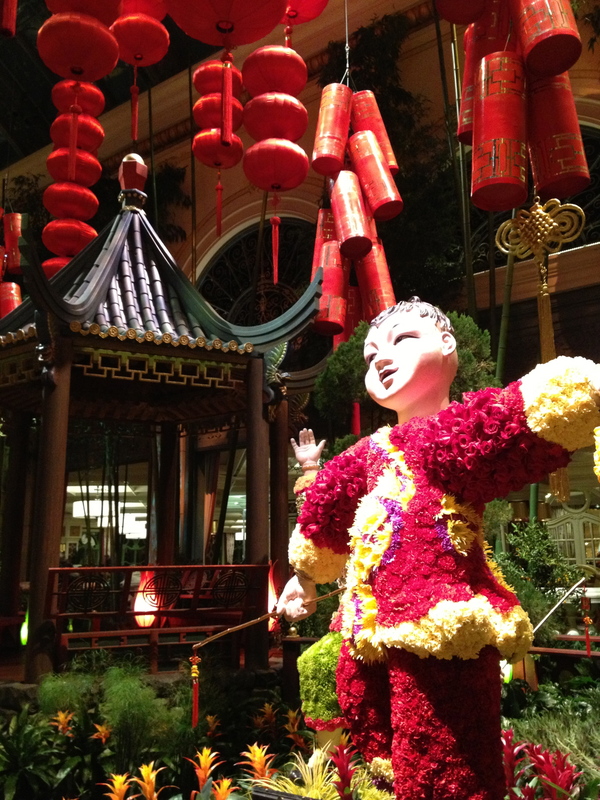 Bellagio’s Conservatory and Botanical Gardens celebrate Chinese New Year in style! | Oh, the Places We See . . . 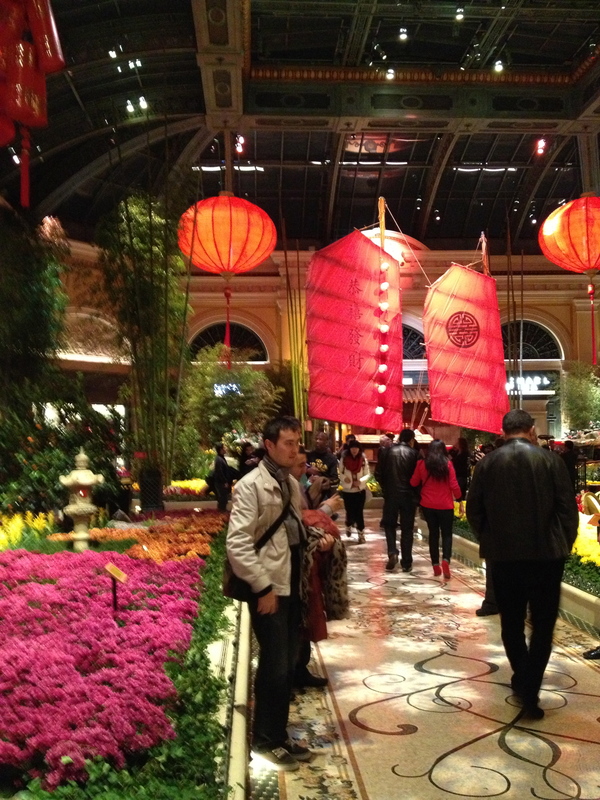 The central walkway of Bellagio’s Conservatory decked out for Chinese New Year. 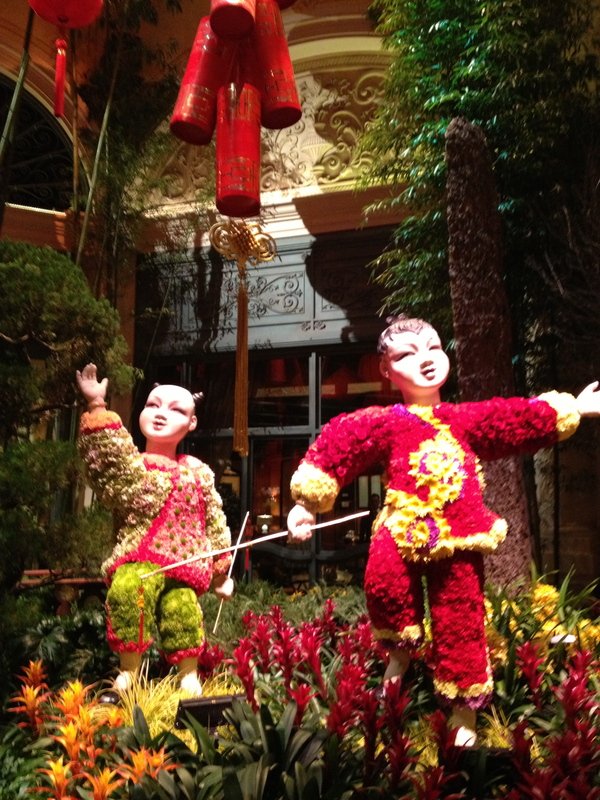 Although the official date for Chinese New Year is February 10th this year, the gardeners, artists, and designers at Bellagio have been ready to ring in the Year of the Snake since . . . well, maybe since last year! It’s almost magical what they do in Vegas, at least in this grand atrium lobby where tourists from around the world gather to look and look again and then photograph the grand displays. 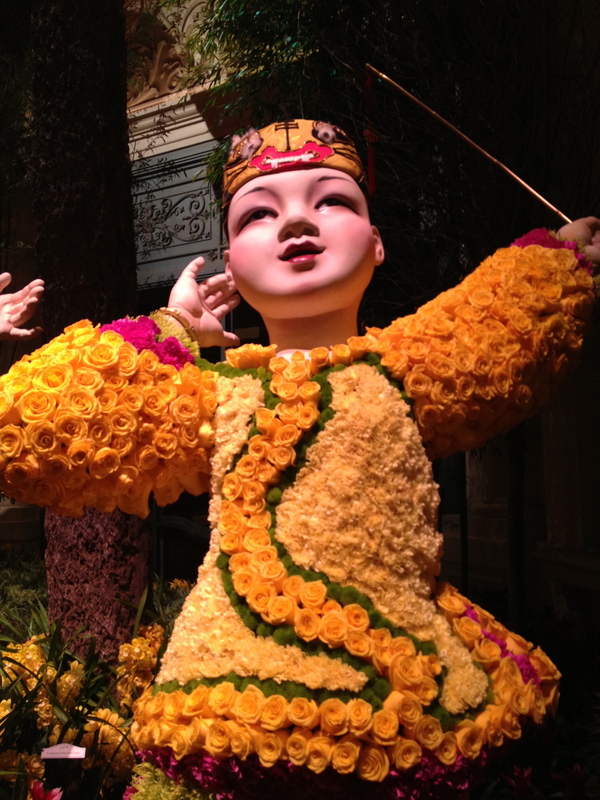 Traditional reds and yellows of Chinese New Year greet you in the Conservatory and Botanical Gardens: room settings of larger-than-life lanterns, firecrackers, and children dancing among beds of bromeliads. 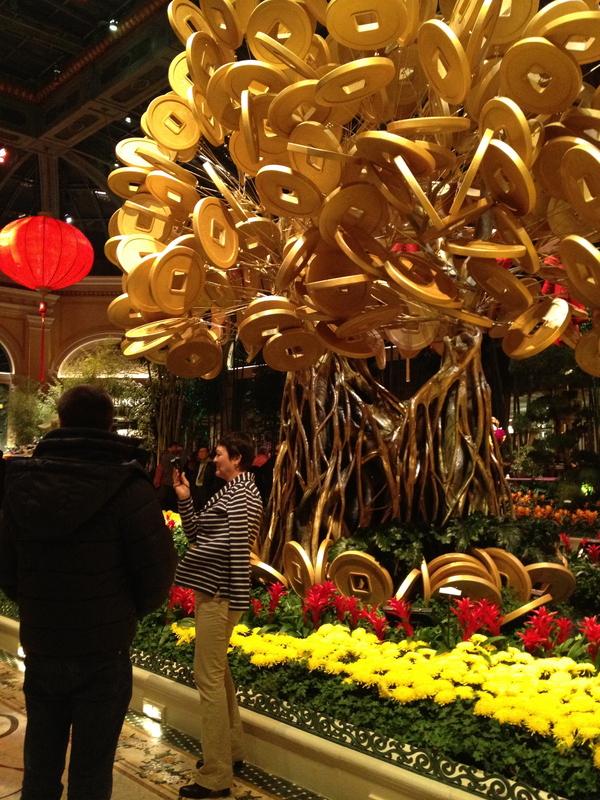 And families stop to make pictures and take in the sights of money trees. Six happy children wearing handmade outfits of fresh carnations and chrysanthemums dance in the garden. 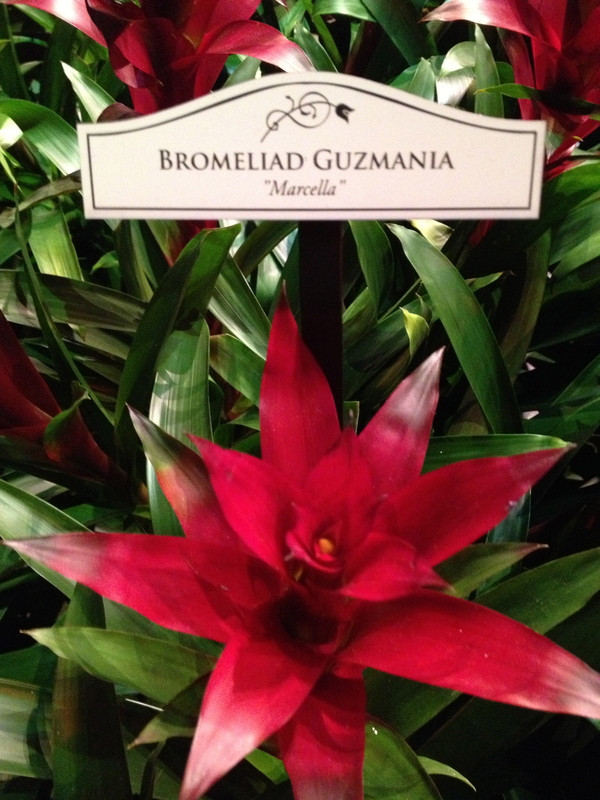 And lovers of flowers revel in the rare, glorious bromeliads marked with botanical names. 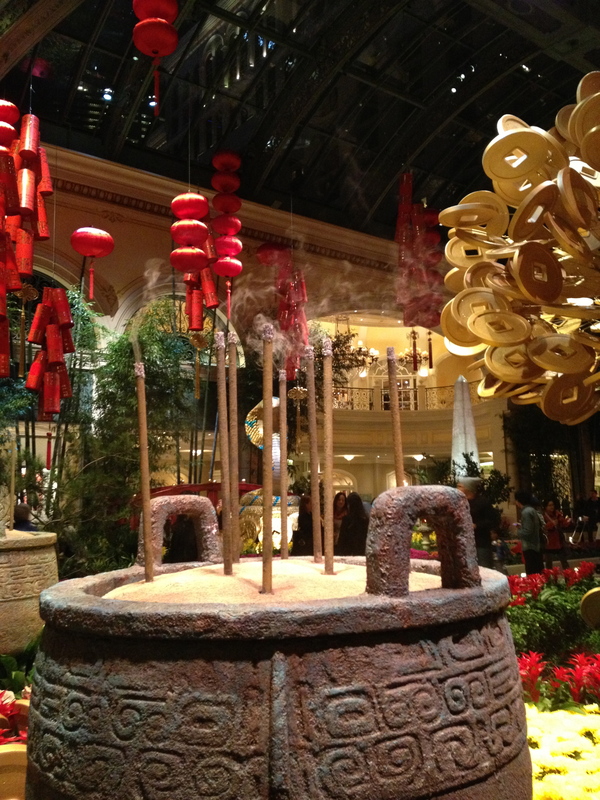 Scenting the air are terra cotta urns bearing incense to fragrance the night. And you can almost hear the pop pop pop of firecrackers overhead! What a glorious way to bring in the Year of the Snake! 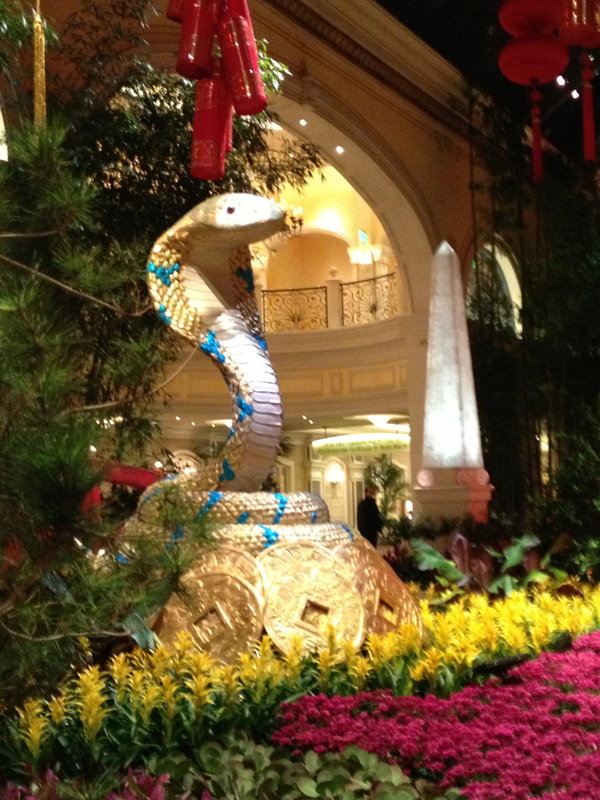 Standing guard at one of the entrances — the icon for Chinese New Year: The Year of the Snake! 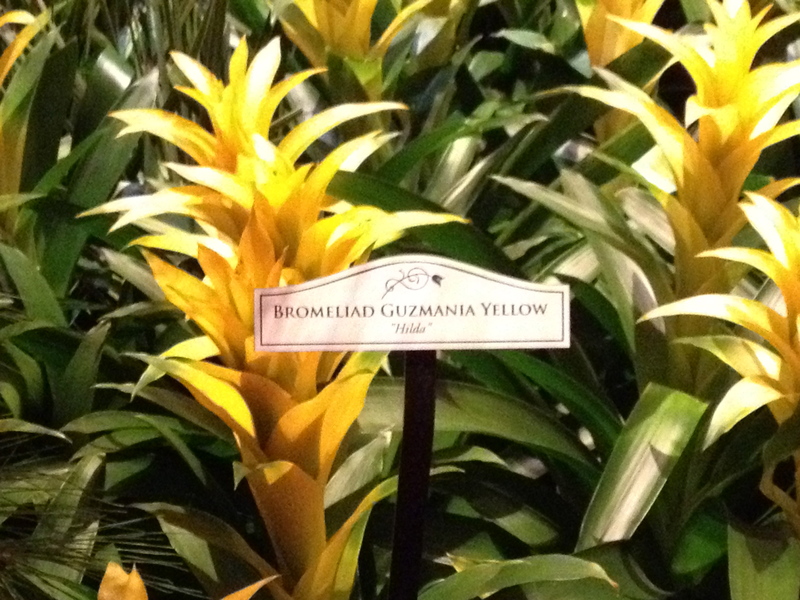 This entry was posted in Nevada, Travel and tagged Bellagio's Botanical Gardens, bromeliads, Chinese New Year, flowers, Las Vegas, Year of the Snake. Bookmark the permalink. 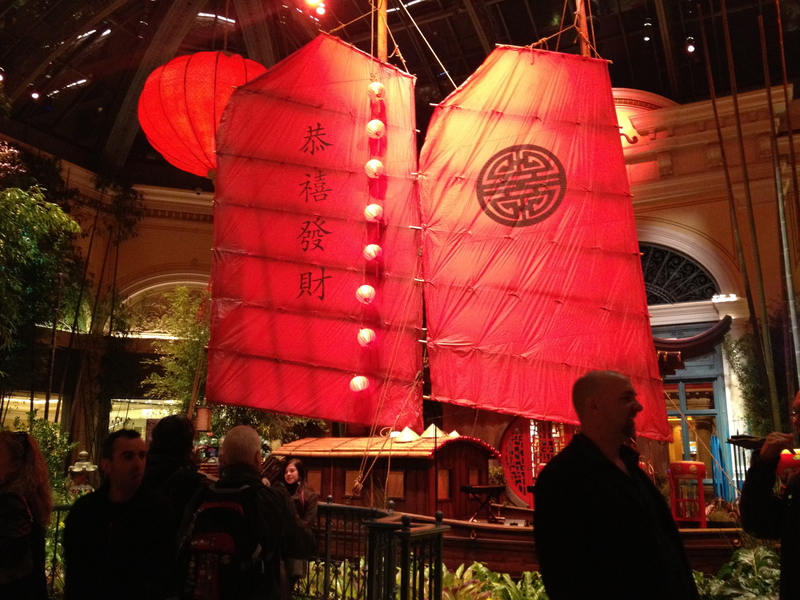 15 Responses to Bellagio’s Conservatory and Botanical Gardens celebrate Chinese New Year in style! Soo funny. I go to Vegas several times a year for work and hate it. 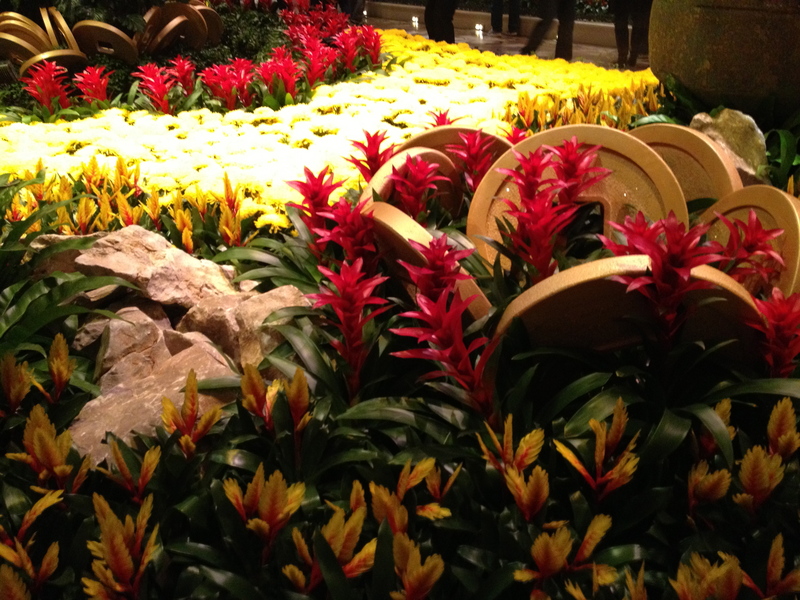 I forgot how awesome the flowers are at the Bellagio! I’m headed back in March and hope to see more of the old sites like the Neon Museum and some of the areas near Vegas. You have to poke through the glitz to find some really interesting and quite lovely spots. I’ve been enamored with hotel lobbies lately!!! You are so right! Im often so busy with the conference that I am at while in Vegas that I dont look past the strip, but the lobbies are great. I try and walk every morning and I walk through the lobbies. Some are pretty incredible! What beautiful flowers! Thanks for sharing. All of the Chinese New Year celebrations in Boston keep getting postponed because it Won’t. Stop. Snowing. I’m hoping we see something as beautiful as you did! So sorry you’re getting snow that you don’t want. We have so little here in Tennessee winters. All I want is one big one so my granddaughter can build a snowman. Not too much to ask for, right? Great photos! I like your blog. Have been to the Bellagio, Santa Fe, and the Chicago airport as well. Your posts bring back good memories. So glad you found my blog and enjoyed reading the posts. I wish had more time to share my travels and adventures, but I do what I can while still working. Drop by any time! Looking forward to following your blog as well. How cool! Thanks for opening my barn door a little wider!!! You are so welcome! Thanks for visiting my blog and leaving a comment! Would love to be in NYC celebrating Chinese New Year. But you’re right — maybe not this weekend! Hope they can postpone and celebrate next week sometime! It’s always here. And I’ve run into random celebrations in Chinatown just while walking around. Such a beautiful photograph of a beautiful place. I cannot wait to go back! Thanks for visiting my blog! 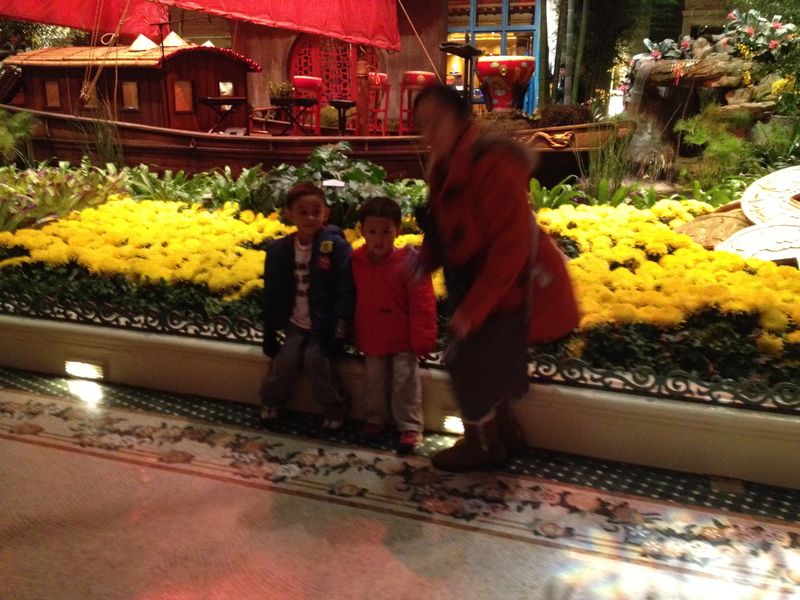 This was my third visit to Bellagio’s Conservatory, and I’ve loved each one. I’ll be working there in August, so maybe I’ll snap some pics of their spring show! Love your blog, by the way!